← Picture of the Week! Banana Mobile in Downtown Raleigh? Picture of the Week: Ooh la la! Mini Eiffel Tower in North Raleigh! I snapped this picture this morning in North Raleigh. 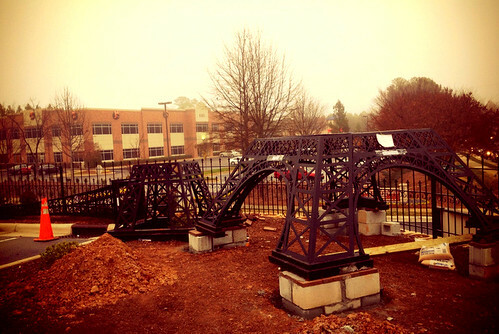 This mini Eiffel Tower is currently under construction on the corner of the Lafayette Village Shopping Center facing out towards Falls of Neuse Road. I plan to go back and take another photo once it is completed.